Whether you’re applying to your first nine-to-five, changing careers or just looking for an advancement, the proper outfit is key for any interview. The temperature outside might be scorching, but don’t sweat it. 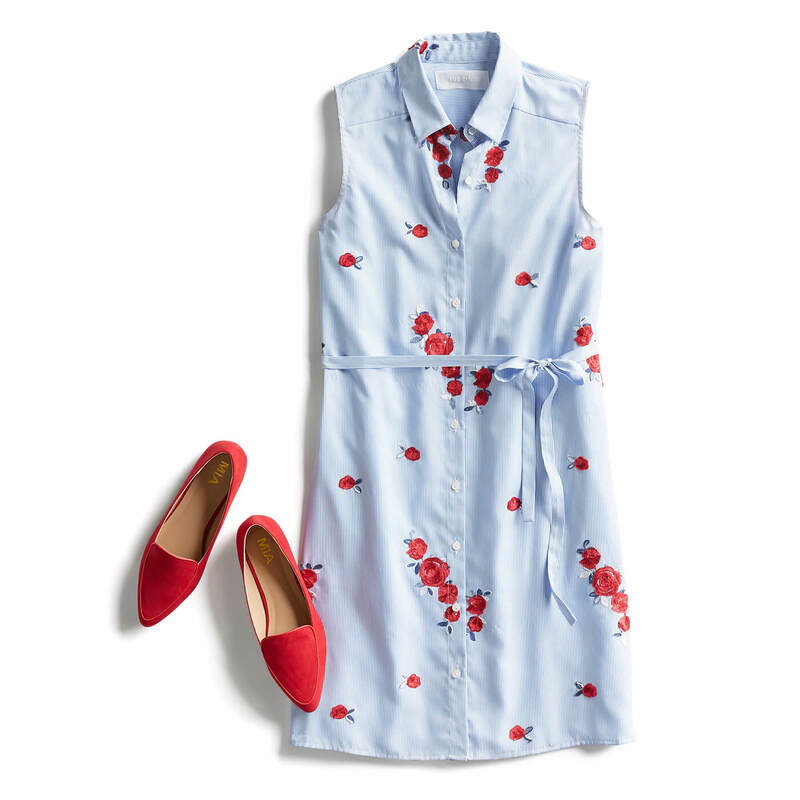 We’ve got your summer interview look covered. Learn how to dress for the job you want in these summer styles. You’ve sent in your resume and landed an interview. Now what? Brush up on potential interview questions and get to know your future company. You don’t want to overdress or underdress, so try to get a better understanding of the company’s dress code and industry. Bonus tip: Tie the company color into your outfit (think shoes or handbag) to prove you’ve done your research. Your outfit is the first impression you make, so wow them with workwear staples. While jeans might work for casual Fridays after you’ve secured a job, interview days call for cropped slacks topped with a breathable blouse. Keep in mind that high-powered cooling units are often set to full blast this time of year, so combat the chill with a blazer you can easily remove. Embrace the season (dress season, that is) and show up in a timeless silhouette, like a universally-flattering wrap dress or collared shirt dress. Finish the look with chic footwear that says you’re ready to step up (literally) to the challenge of this job. In the words of the famous Rachel Zoe, “Style is a way to say who you are without having to speak.” So step into that interview room in an ensemble that proves you’re ready for the role. What is your interview style? Tell us in the comments.